Other Common Names: Kava-kava, Kawa, ‘awa (Hawaii), ‘ava (Samoa), yaqona (Fiji), sakau (Pohnpei). Habitat: Historically kava has been grown in Hawaii, Federated States of Micronesia, Vanuatu, Fiji, the Samoas, and Tonga. It is a cash crop in Vanuatu and Fiji. The plant is a shrub that thrives in shaded, well-drained, loose soils. It grows naturally where rainfall is plentiful. The plant grows best between 20 and 35 degrees Celsius and between 70 and 100 percent humidity. 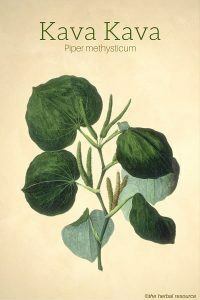 Plant Description: Kava belongs to the pepper family that grows to a height of 3 meters. This hardy perennial sports heart-shaped, bright green leaves, which are around 15 to 20 centimeters long. The plant does produce small flower spikes that are sterile. The roots of mature plants may reach as deep as 60 centimeters. Plant Parts Used: The root and rhizome are used in medicinal and recreational uses. Kava has been used in social gatherings to lower inhibitions and make everyone more relaxed and amiable. 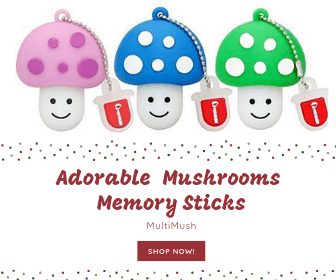 It is a popular herb to treat anxiety, stress and depression. The relaxing, euphoric state brought on by this herb make it useful in treating these conditions. This herb is often used in religious ceremonies to obtain an enlightened state. Some research has shown promise for the use of the herb in ovarian cancer and leukemia treatment. Traditionally, Pacific Islanders have used the plant to treat rheumatism, menstrual cramps, venereal disease, tuberculosis, and leprosy. This herb also acts as a diuretic and anti-inflammatory agent, thereby making it useful in treating gout, bronchial congestions, cystitis, and prostatitis. It is often used as an herbal sleep aid as well. Kava is traditionally prepared by chewing of the root by a child or a young, virgin female and then the masticated root is spit into a bowl with a small amount of water added. It can also be ground into a powder and mixed with a small amount of water to make a paste. This is then mixed with a cold liquid to make a drink. The herb may also be combined with other herbs to combine and enhance the effects. 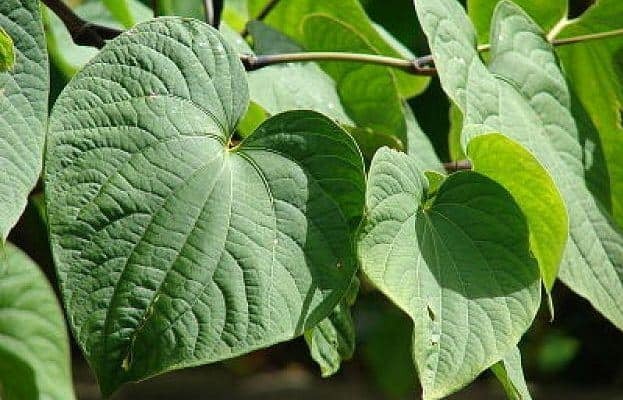 While kava, in small amounts over short periods, is believed to be relatively safe, there is some question about possible liver toxicity. Long-term use may cause the skin to dry out and possibly lead to skin ulcers. Most research supports the idea that herb’s uses do not lead to addiction or dependency. This herb should not be taken while driving, or any other activity where mental acuity is required. High doses may lead to dizziness, muscle weakness, and visual impairment. Long-term use may contribute to hypertension, reduced protein levels, blood cell abnormalities, or even liver damage. Kava should not be used with prescription antidepressants, sedatives or mixed with alcohol. This herb should not be used by people with cirrhosis of the liver or other liver disorders and it should not be used by those who are pregnant, nursing or being treated for depression.